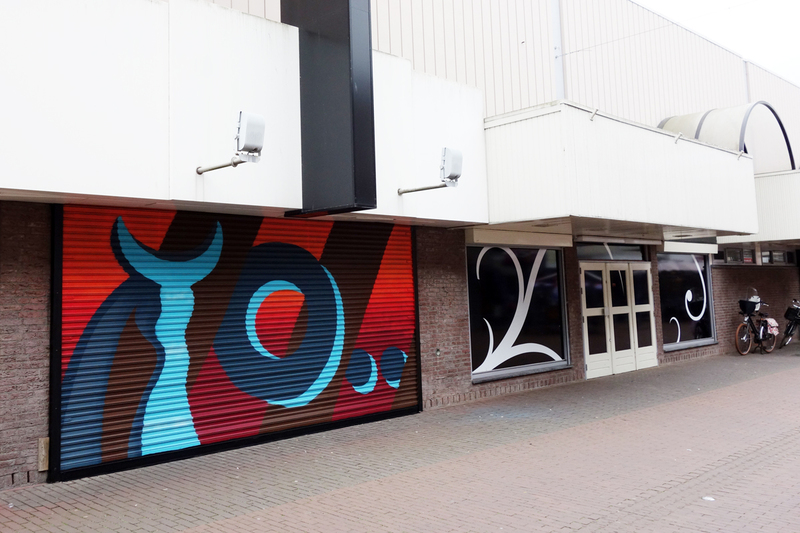 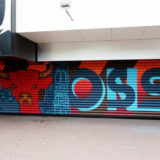 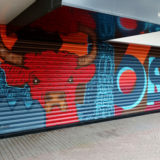 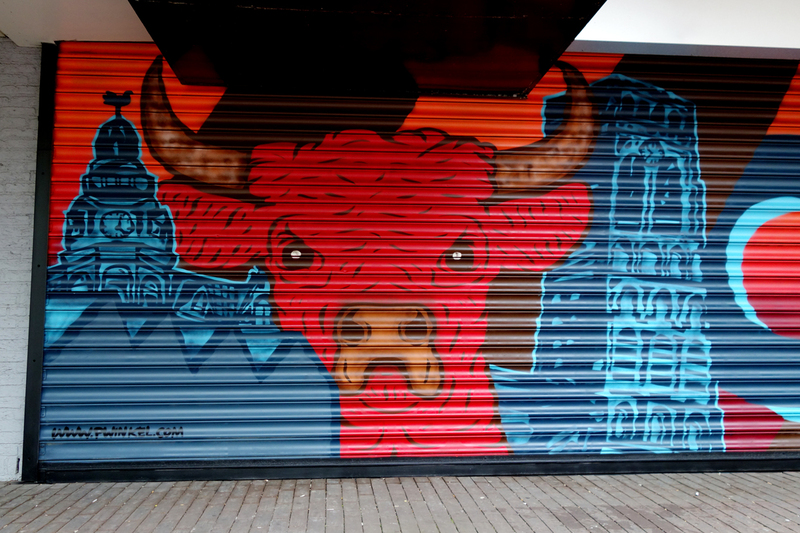 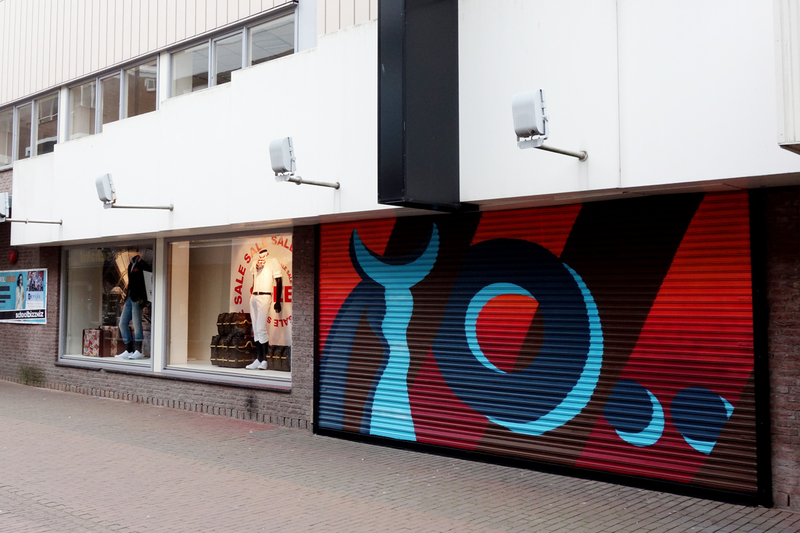 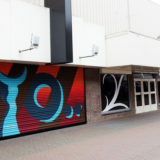 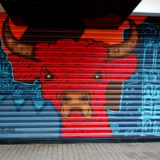 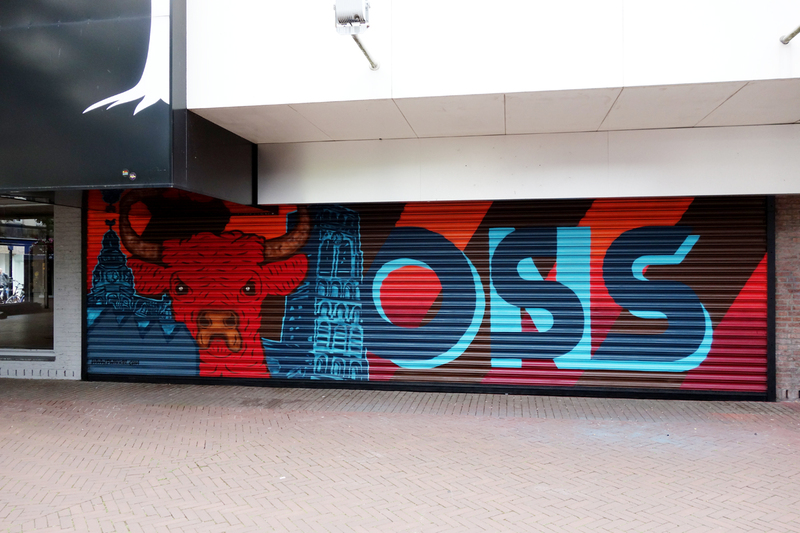 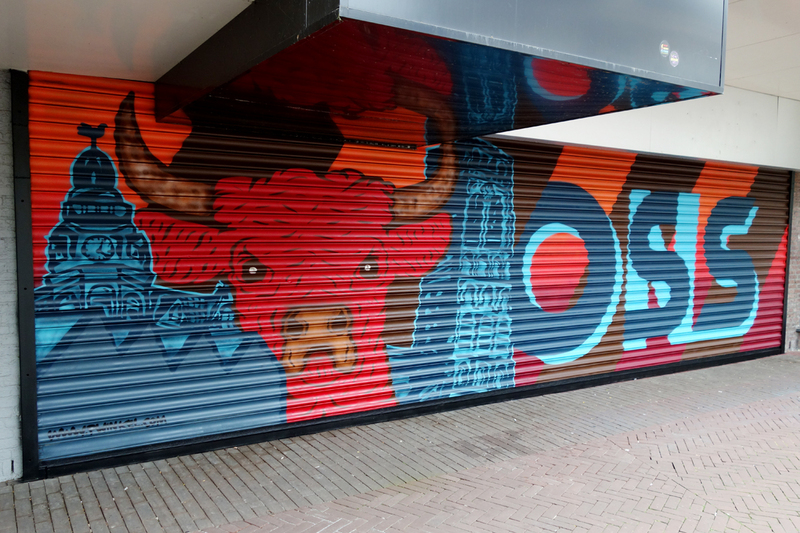 I was asked by the clothes and coffee store Mencave to paint two shutters in the centre of Oss. 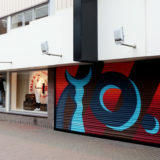 The large shutter was the new backdrop of their newly opened terrace. 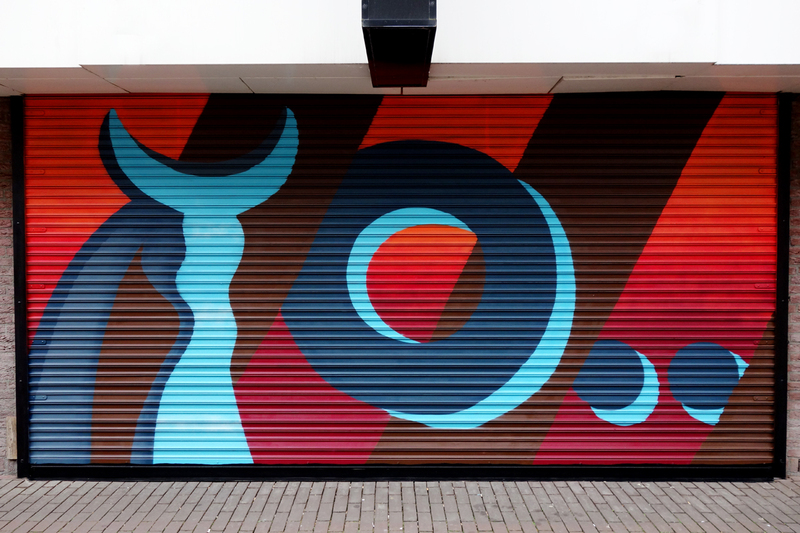 The other shutter was just around the corner and was a simplified version. 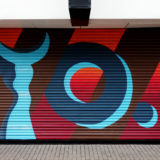 All the illustrations related to known places and buildings in Oss.